SOG PowerPlay Multi-Tool | BUDK.com - Knives & Swords At The Lowest Prices! 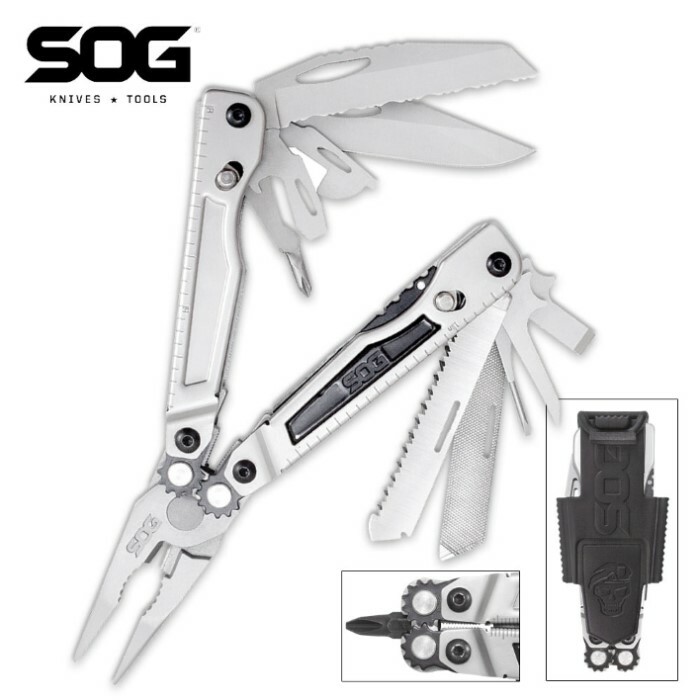 The new PowerPLay Multi-Tool presented by SOG is a compact, comfortable, and feature-rich multi-tool that offers 18 lock tools in one sweet package. Just drop it in your pocket and go or clip it to your belt with the hard molded nylon sheath that’s include. It is constructed of 5Cr15MoV steel with a bead blasted finish. 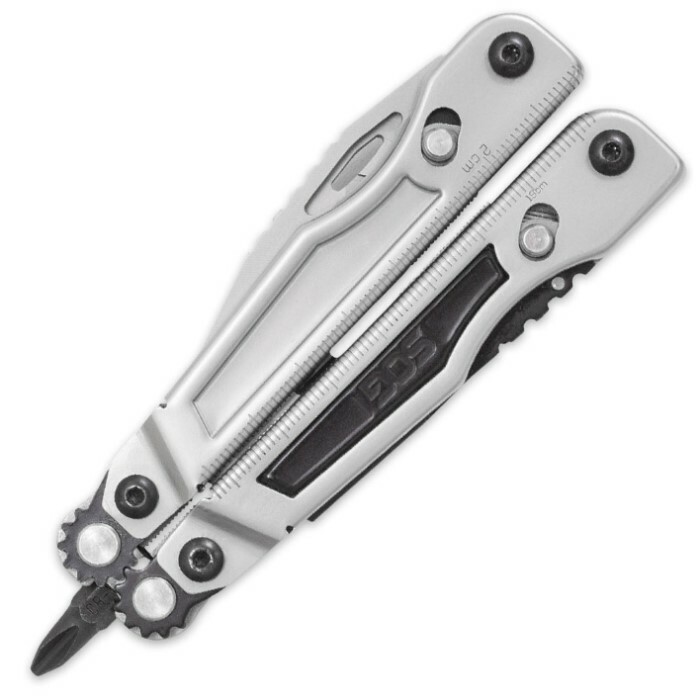 This tool features many often-used components which includes pliers powered by Compound Leverage that gives them double grasping power for increased grip and reduced slippage. It also has a straight edge and a fully serrated blade that can be accessed single-handedly without opening the tool. When the tool is closed, the top has a centered hex bit driver which is convenient and comfortable to use while minimizing chances of stripped screw heads. Each handle is home to different useful tools like screwdrivers, can/bottle opener, saw, awl, file, and more.